Digital Forsyth | Margaret Kolb, Thor Johnson, and Mrs. Howard Cortz, 1970. 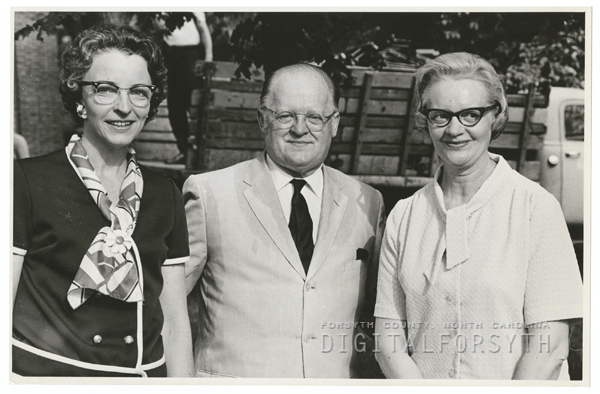 Home › Photos › Margaret Kolb, Thor Johnson, and Mrs. Howard Cortz, 1970. Margaret Kolb, Thor Johnson, and Mrs. Howard Cortz, 1970. Margaret Kolb, Thor Johnson, and Mrs. Howard Cortz, 1970. The occasion for the photo was the Moravian Singstande with the Moravian Band.